ERVA is considering joining criminal case 527/2011 in Denia (Alicante) pursued against N.M. Rothschild & Sons, Steve Dewsnip and others. The case seems to have stalled after attempts to deliver Court papers to IFAs failed to materialize (as a result of them not living in those addresses). Joining this case may help the acting solicitors and their clients by pushing proceedings with fresh new publicity evidence, broker affidavits and other relevant information which has already been filed with the Malaga Courts. The DGT (General Directorate of Tax) has confirmed that mortgage loans for any other purpose than buying the property on which they are registered, are not deductible for Spanish Inheritance Tax Purposes. 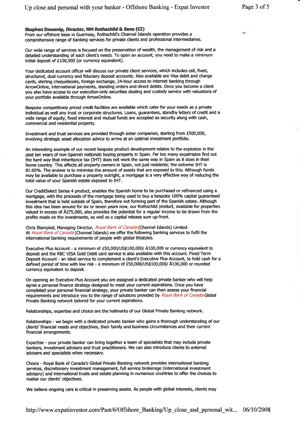 Binding consultation 04423-13 received by Lawbird lawyers today (28th May), refers also to loans granted abroad (such as those by Rothschild, SLM, Nykredit etc.) that are guaranteed by mortgages on Spanish property and is adamant: only real debts can be used to mitigate taxes. Nobody questions that N.M. Rothschild & Sons could and should have ensured that the product they were selling was legitimate, just like any diligent person carrying out any commecial activity in Spain would do (and indeed any where in the world). Instead, they chose to make their clients accomplices of tax fraud because some inept lawyer at Gomez Acebo & Pombo decided that it was legal, at the insistence of clowns Mark Coutanche and Steve Dewsnip, to run this circus. 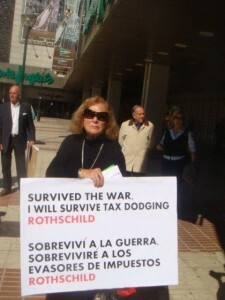 Claimants will demonstrate that all the publicity issued by Rothschild, and the companies they used to sell the product CreditSelect Series (as confirmed by honest and helpful former employees) is false, fraudulent, encouraged tax evasion and has caused untold grief on victims. 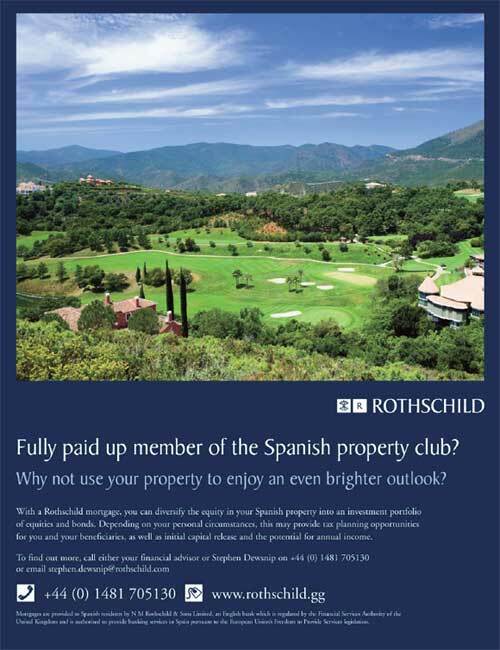 The legal suit against Rothschild is to be lodged with the Malaga Mercantil Courts on the 7th of June 2013. That they were only the lenders and were instucted by the clients to invest the proceed in a specific product, without them ever providing any financial investment. That the network of “financial cowboys” they employed, some of them on the warned list of UK and Spanish financial regulators, were actually not appointed by them, but by the customers, at their own peril, and as such they cannot take responsibility. By employing two full-time credit analysts within our Banking Team dedicated to researching and analysing offshore mutual funds, we are able to accept a wide range of investments provided by major fund management groups as collateral for CreditSelect Loans. Members of the ERVA are to file a group action against Rothschild for misleading publicity, in respect of the Equity Release, at the provincial Mercantile Courts of location of the property affected. Deceiptful message in respect to the promised benefits of “creating a debt” on a property with the purpose of minimizing or eliminating Spanish Inheritance Tax. Deceiptful message in respect to the promised guarantee that the investment, which is said to be held outside of Spain (obviously to cheat the tax authorities) is guaranteed 100%. The claim, which is to follow the same format as the Nordea Claim, is to be filed on the 20th of December 2012. Other than that, we would not wish to miss this opportunity to briefly comment on the attached information, one of many examples of abundant tax-evading publicity that Rothschild produced. A calm and unflustered Steve Dewsnip, a prominent Rothschild figure when the scheme was going strong on the Coasts who is currently doing other things, spoke and wrote like a Spanish Inheritance Tax expert. Far from it, the man was just clueless. But the worse we think was the use of an unsettling word, “bespoke”, to ill-define the nature of this absolutely commoditized deceiptfully predatory product sold to pensioners, without distinction and without, of course, any semblance to the meaning of it.